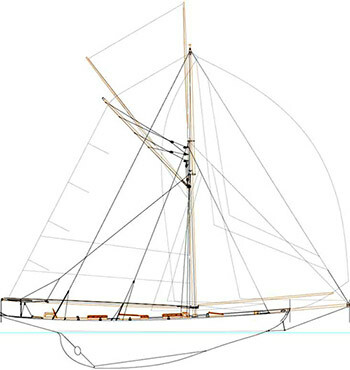 William Fife, the Scottish constructor of grand sailing yachts, was entrusted to design and built a gaff sailing vessel for the RORC regatta. His client was Plumtree Charles Johnson, a significant lawyer from London. The achievement of this commission was the legendary Moonbeam of Five/ Moonbeam III. Her home harbor is now St. Tropez, starting point for most current Mediterranean regatta which Moonbeam III will participate in. 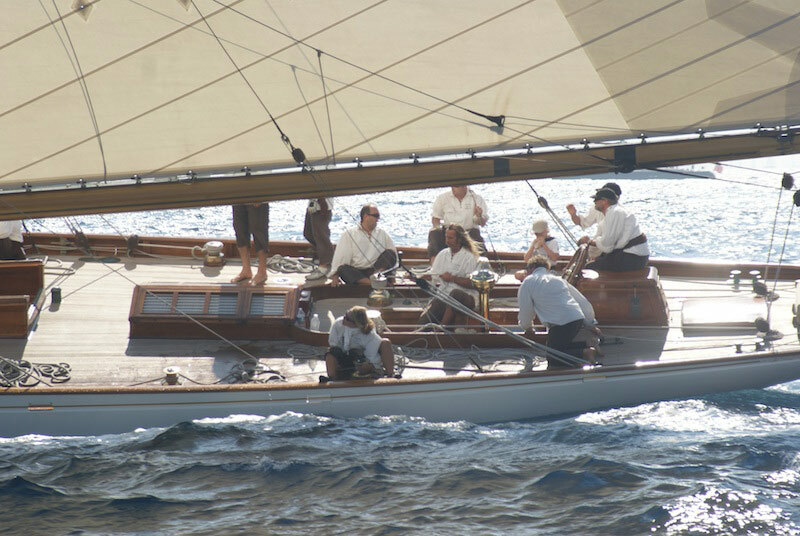 Throughout her more than hundred years old history, the Moonbeam III successfully participated in numerous regatta in the Mediterranean Sea. In 1928, she won the Mediterranean cruise race. The slim shape, the great sail area, and the polished deck emphasize the striking elegance of this 31 meter long sailing yacht. Upon entering the interior of this yacht, you will be stunned by the perfect Edwardian Mahagoni and the shiny upholstered leather. You will admire the classical style of the baths, in particular the luxurious sanitary tabware. Yet, Moonbeam III's most distinguishing characteristic is the combination of lush comfort and safety. It was the well known London lawyer Plumtree Charles Johnson who commissioned the construction of this 31 meter long gaff sailing vessel for the RORC regatta. In 1920, the yacht was sold to a Parisian businessman and Cannes became her home harbor. 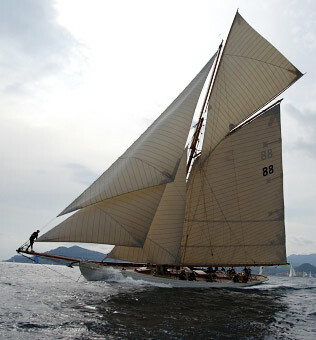 In the following years Moonbeam III successfully participated in numerous Mediterranean regatta. Among others, was she the winner of the Mediterranean cruise race in 1928. The owners of this extraordinary sailing yacht exchanged various time in the succeeding years. One of Moonbeam III's most famous owners were the French airplane constructor Félix Amiot who sailed her proudly for 24 years and Camper and Nicholson, a renowned shipyacht in Southampton, England, where the sailing yacht was based for 10 years. In 1988, Moonbeam III was sold to several owners at an auction at Sotheby's. In her more than hundred years of history, Moonbeam III was often renovated and restored. One of the refitting processes included the installation of a ship's engine and navigation devices. In 2005, the present French owner of Moonbeam III did an extensive, professional, and felicitous restauration of the yacht which lasted nine months. Moonbeam of Fife is stationed in St. Tropez and is available for day trips to close by picturesque bays or cruises that last several days. She is also an ideal location for any event related to the glamorous happenings in Cannes. However, more daring adventurers may experience the fascination of racing Moonbeam III in one of the numerous classic yacht regatta. Special offer: This year we offer again the exciting match race between Moonbeam III and Moonbeam IV. 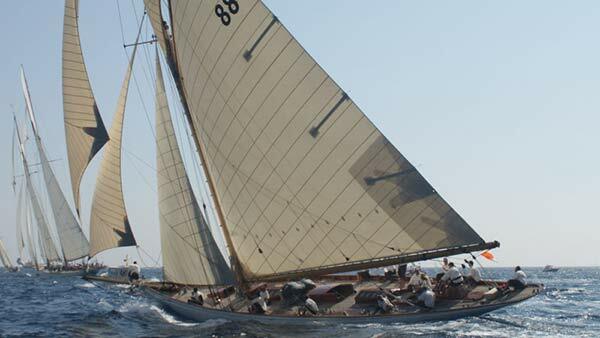 Interested in Classic Yacht Moonbeam III?